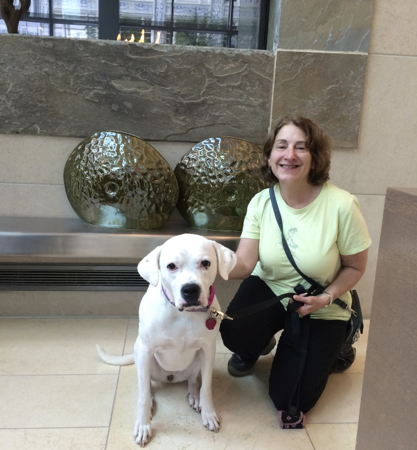 Let’s Paws: Away, and missing that special pet? Look closely at this boxer/lab mix and you’ll see her tail is bent. Apparently this rescue pooch was hit by a car as a pup and that’s the way it healed. Fortunately, so did she. Edie — named for Edie Sedgwick, close gal pal of one of Pittsburgh’s most famous natives, Andy Warhol — began her schooling as a service dog. She was a little too gregarious and not serious enough for the gig, so she flunked her way into the hospitality industry. A much better fit for this laid-back, human-loving canine. 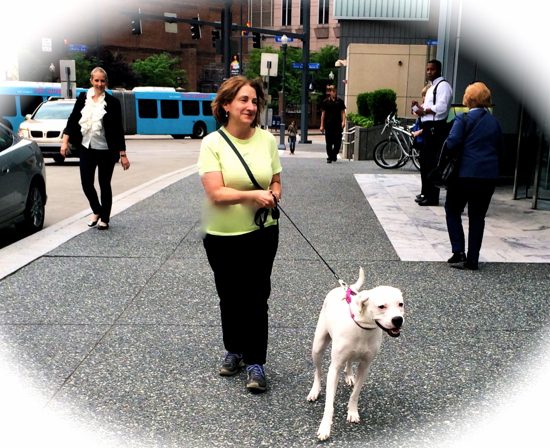 She’ll take you for a stroll around downtown Pittsburgh, or is happy to hang out when you feel like taking a meeting break. 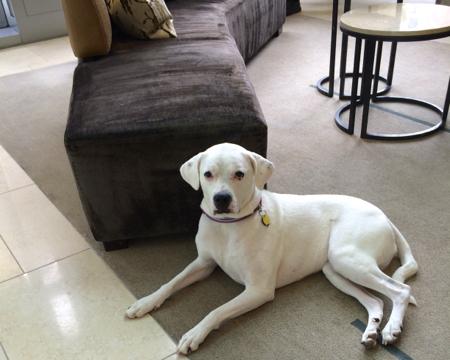 Edie is a reminder that the Fairmont is a pet-friendly hotel. She also has her own email and Facebook page. Of course the Fairmont’s not the only hotel chain to do this. (Here’s another I found in Florida.) Lots of places have mascots. And here’s even more info. This entry was posted in Let's Paws: I break for critters and tagged Andy Warhol, dog lovers, dogs, Edie Sedgwick, Edie the canine ambassador, Fairmont, Fairmont Pittsburgh, hotel mascots, Pets, travel. Bookmark the permalink.